My hunting partner, Darin modeling the new Uncompahgre Puffy, by First Lite (in Dry Earth color. It also comes in ASAT and Realtree camo). In this picture; you get a good idea of the well thought out features built into this piece. If the “Devil’s in the details”, than you can tell that the Uncompahgre Puffy was designed by a hunter; because it contains details that only a hunter would think of. Even though I am pretty biased about what brand of gear system that I use; I never balk at the chance to test out new gear. And if my company of choice does not produce a certain piece of gear to fit my needs…I am forced to look towards other companies. One such company that I have used in the past and wouldn’t hesitate to use any piece of their gear system…is First Lite. I love to support local companies (local to me is anything made in either WA, OR, ID or MT) and with First Lite being based out of Idaho…well, that’s even better. Kenton Carruth, the founder of First Lite is a down to earth, all around great guy who I am in contact with, from time to time. So during a phone conversation earlier this spring, when he presented me with an opportunity to test out some soon to be released gear, I jumped at the chance. First Lite is launching three new pieces of outerwear this year; one of them being a “puffy”. A puffy is an interesting piece of gear, as it seems to be an “in between” piece…it’s mainly used as insulation and is efficient at trapping ones body heat by literally filling it’s self with warm air. But at the same time a puffy is often used as an outer piece, when the wind picks up, or during a light rain spritzing, when a full-on outer shell is not warranted. I received my test piece back in March, while we still had a bit of snow on the ground and some chilly temperatures here in North Idaho. I began wearing the Puffy while on a few light hikes and dog walking outings during sub-fifty degree temps. I tried to carefully note at what point that I began to feel over warm during activity at these lower, mid-range temperatures and gauge it’s breathability. I quickly found that if it was 40 degrees or lower; you can get away with a little bit of activity without over heating. It wasn’t until during an April Turkey hunt, that I remembered that a Puffy was in fact an insulation piece…and not really intended for any activity beyond a light walk. With that being said; once you do start to sweat, there is a good amount of vapor transmission that takes place and you are not left feeling “clammy” once you slow down and cool off. First Lite made use of a very interesting material that’s branded as Cocona, in their three new offerings this year. Since I own a Marmot Zip-T that utilizes Cocona material; I was already a bit familiar with the stuff. If you are into the whole “reduce, reuse and recycle” mantra; then Cocona should be right up your alley. Cocona: “trademarked name for a lightweight, breathable fiber derived from coconut-husk waste discarded by the food-service industry. b: Reduced to charcoal, combined with recycled polyester, and spun to maximize its surface area for warmth retention and moisture wicking. c: Said to resist odors better than traditional polyester fill.” All that I know is that the material seems to work very well at transferring moisture away from the skin and does a good job of retaining it’s warmth while wet. It would seem that Merino Wool and Cocona are a perfect match for each other in this aspect and a natural choice for a company like First Lite, who utilizes Merino Wool in virtually their entire lineup. Both hand warmer pockets, located vertically on each side of the zipper are set a little higher than on your average jacket. The pockets being set higher up like this; make it more convenient to access anything kept in these pockets while wearing a pack. Notice the smaller zippered pocket located on upper, left chest (right side of the picture). This pocket features a double zipper; which enables you to basically pull the jacket inside out through this pocket, creating a stuff sack that zips closed. An important detail that makes this Puffy more packable and stowable. “The first real chance that I had to test the water repellency of this garment was tonight, with a massive downpour that lasted around 30 min. The first ten minutes or so it was hailing very hard, hard enough that it really stung when it hit. The hail turned to a steady drizzle and at this point the Puffy was doing just fine. There was a decent stream coming off of a corner, of the roof of my house; which I couldn’t resist stepping underneath to accelerate the conditions of the testing. It was within three minutes or so of standing underneath the runoff (something like a pitcher of water being poured) that I started to feel seepage in the arm-pit areas of the jacket. I soon realized that his was somewhat unfair to the testing and really not akin to what you might actually undergo while being out and about; so I stepped away from the runoff. So am I suggesting that the Puffy could potentially replace a piece of your rain gear? NO. What I am saying; is that with the high level of water repellency built into this jacket, it’s just one more gold star next to it’s name. 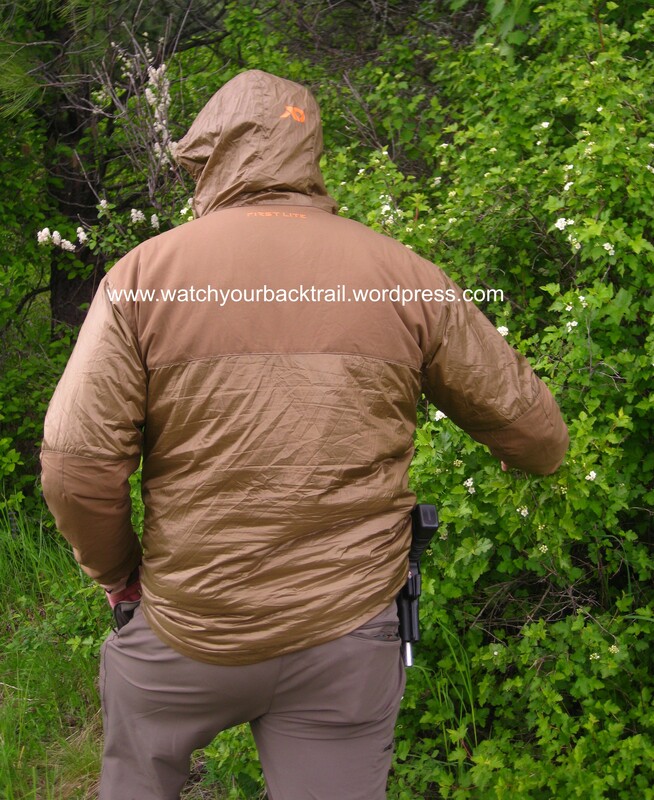 In the event that you were using a soft-shell outer layer and got stuck out in a nasty storm; if you chose to use the Uncompahgre Puffy in your kit…you would have a lot less to worry about and could focus on the task at hand. This is something that I personally look for in my own gear; because staying comfortable in the elements, while being miles from your truck…will make or break your hunt. Not only will it keep you out in the field longer; but it could potentially save your life in an extreme situation. Not the best picture in the world…but I had to dang near bribe and coerce my wife to step outside and snap this picture! 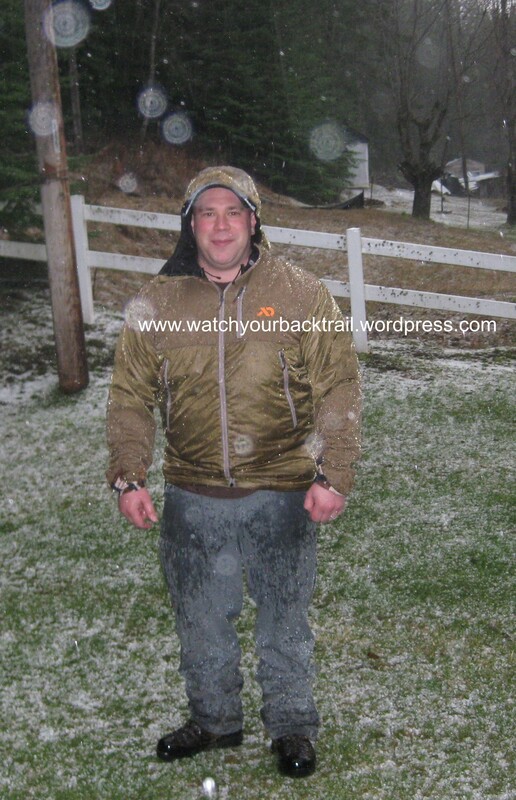 You can clearly see the water buildup on my shoulders and running down the thighs of my pants…the rain and hail were coming down in buckets. For not really being an outer piece and definitely not even close to a raingear piece…I was very impressed with how the Puffy’s DWR treatment held up. This would definitely add value and return for your investment in this piece. Being mainly a bowhunter; I really pay attention to how a garment is cut, especially in the sleeves and chest area. First Lite describes the Puffy as having a “shooter’s cut” and this is very apparent while shooting my bow: I had no string-clearance issues whatsoever (even while wearing the hood). I would also say that it definitely has more of an overall athletic cut as well; which would keep with the mountaineering cues that most modern hunting apparel companies have been pulling from. The built-in stretch panels and overall articulation lends to a full-range of motion; which again is very conducive while drawing a bow or when shouldering a rifle, for that matter. *For reference purposes; the sample I tested was a size Large. I’m 5’6″ and 240#, while Darin is 6′ and 225#…as you can see from the pictures; it fit us both like a glove. How would the Uncompahgre Puffy compare to other insulation pieces from other companies? I tried to quantify this in a closed-group gear testing forum that I am a part of and it really created a stir! The reason being…I don’t think that any existing “hunting gear” company has a piece that is in quite the same category. It’s almost in a category of it’s own, really. 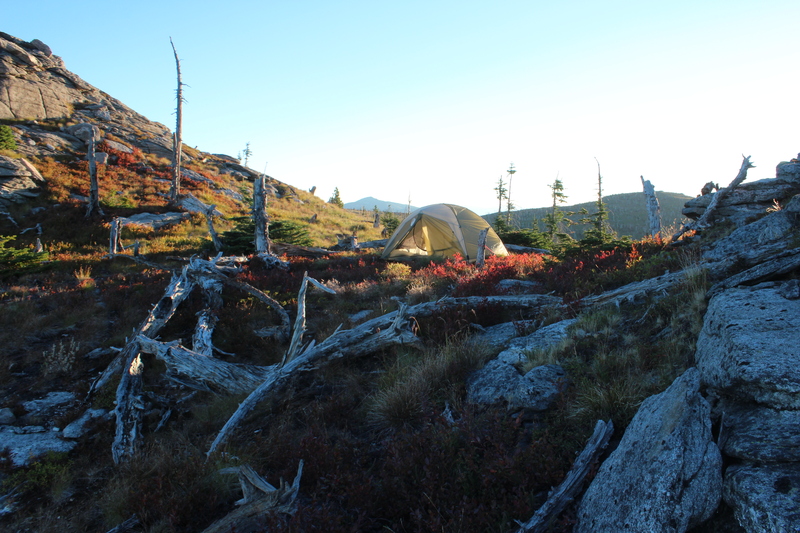 The pieces that came to mind while I was trying to make comparisons, were: the Super Down by KUIU (10 ounces. 850+ Toray Quixdown. 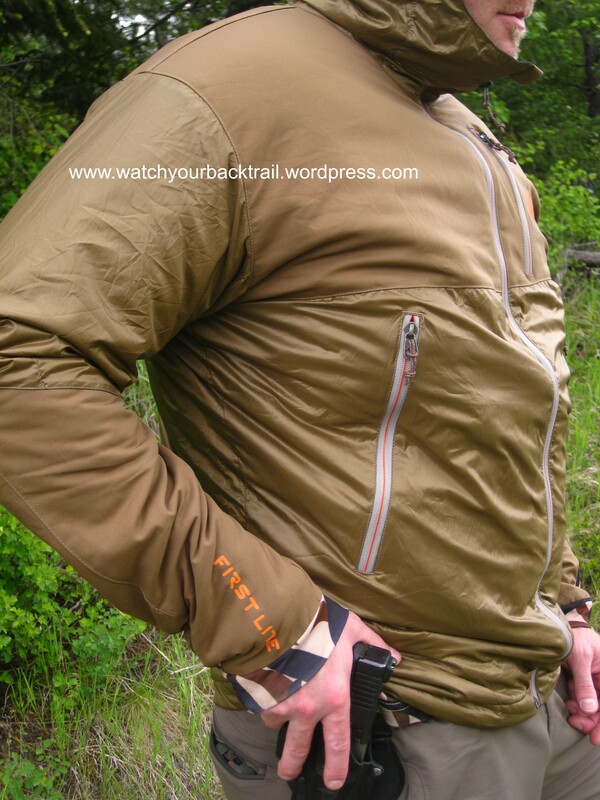 DWR), the Spindrift jacket by KUIU (13.5 ounces. Primaloft. 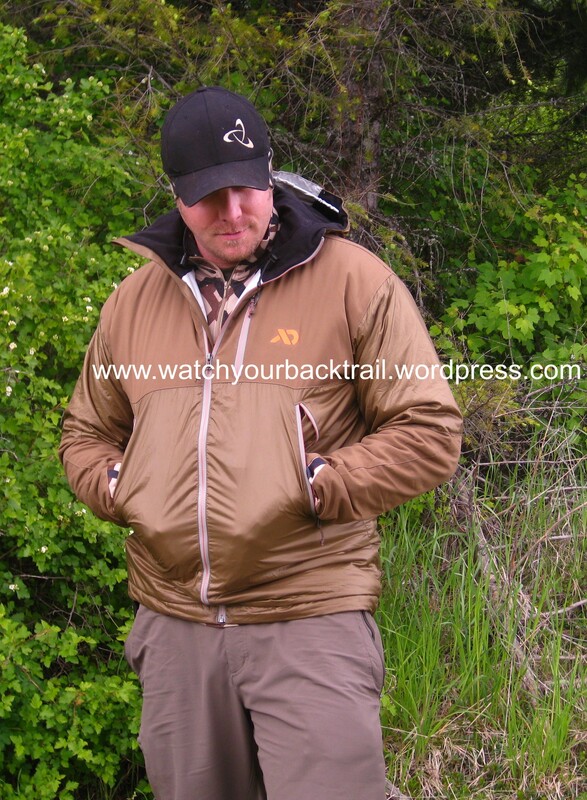 DWR) the Kelvin Down Hoody by Sitka Gear (27.2 ounces. 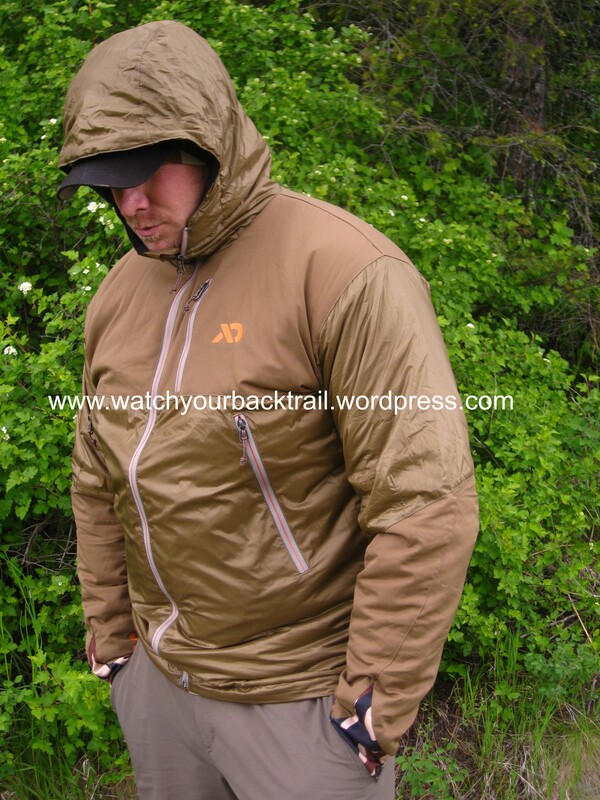 800 fill down), the Kelvin Jacket by Sitka Gear (28 ounces. 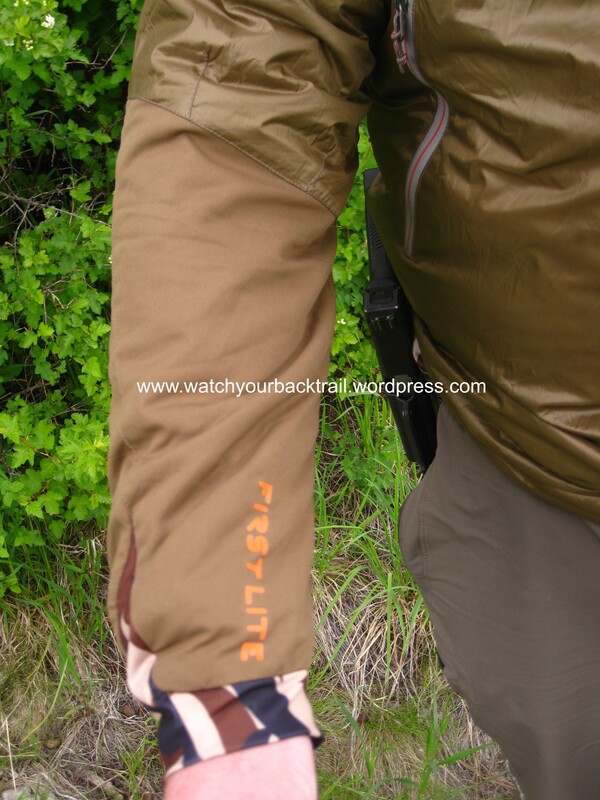 Primaloft One), the Kelvin Lite jacket by Sitka Gear (13.6 ounces. Primaloft Sport), or maybe The Kratos jacket by Kryptek (19.5 ounces. Primaloft). But as you can see; with the Uncompahgre Puffy weighing in at 19.1 ounces (size Large), and having a DWR treatment like some of the before mentioned insulation pieces and costing around $225 ($200 for “Dry Earth” version)…it still seems “apples to oranges” when laying out all of the specifics. I’ll let someone else quantify and draw the comparisons on this one. So, do I think that the Uncompahgre Puffy by First Lite is a solid piece of gear and a good value? I’d have to say “yes” on both counts. This is definitely a piece that I wouldn’t hesitate to toss in my pack and rely on to protect me from the elements. While not trying to outright destroy it during testing; I used it just like I do any of my gear throughout the course of my mountain sojourns and it seemed to hold up just fine. First Lite is awesome to deal with as a company and has a good warranty program if you ever did have any issues or breakdown during use. With the price being in the $200 range; that puts it right in the middle of any other insulating jacket that you might consider. With my budget; $200 is very much an investment and I have to weigh things out and re-hash before committing to a purchase; but I think that this piece holds a lot of value in it’s construction and details. I give it two thumbs up. A backside view of the Puffy illustrates the use of more hardy materials in high wear areas; i.e. the Merino Wool panel across the upper back and lower arms. You can also appreciate the athletic cut; which lends to easy layering when using an outer layer. It also cuts out useless bulk, which helps to keep the weight down. The “Shooter’s Cut” sleeves with their minimalistic, low bulk make shooting a bow troublefree. The thin and stretchy cuff make it easy to slip a glove over and keep a good seal to keep cold air out. A very useful feature: the upper chest pocket converts into it’s own stuff sack. 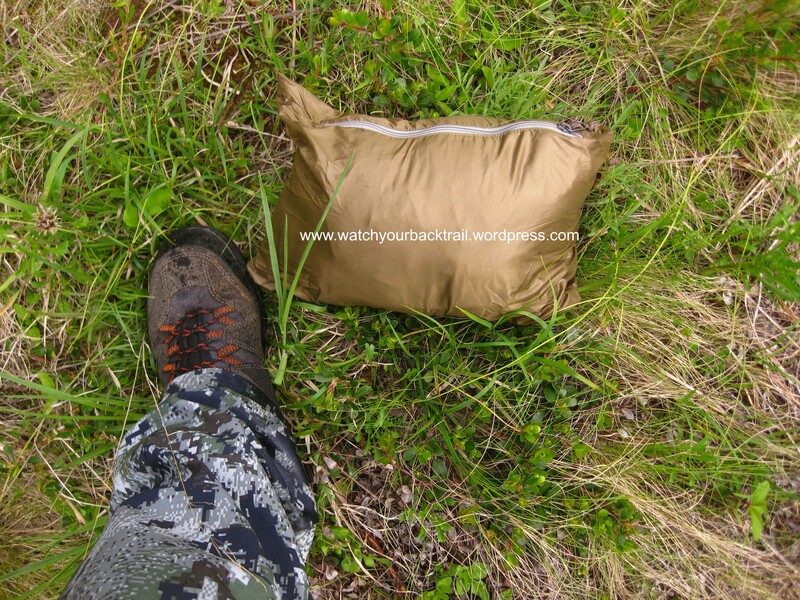 The Uncompahgre Puffy compresses into it’s own stuff sack that’s roughly the size of a small football.